MoreConsole have put together a video showcasing the many multiplayer modes that will be available in the upcoming Destiny title from Bungie. This 14 minute video breaks down all the details they have been able to find so it’s well worth a watch if you want to find out more about the game but without any spoilers. If you don’t have the ability to concentrate for 14 minutes then never fear I have broken down the different options below. Patrol is an entirely free roam, unscripted experience where you can roam around the huge open world and pick and choose what you want to look and interact with. As you can well imagine the campaign mode is simply your story mode. The entire game is designed around a co-op experience so while you should be able to do this yourself you are encouraged to jump in to other players games. The game is controlled by something Bungie are calling The Director who will alter the AI and the game play as you proceed to truly make it perfect for you. Bounty mode is your traditional MMO-esque raid mode, according to Bungie the raids are going to be difficult and it could easily take 45 minutes just to breach the entrance of a raid. You are going to need a lot of teamwork and patience to complete these modes so expect to see a lot of raging during random Bounty missions. 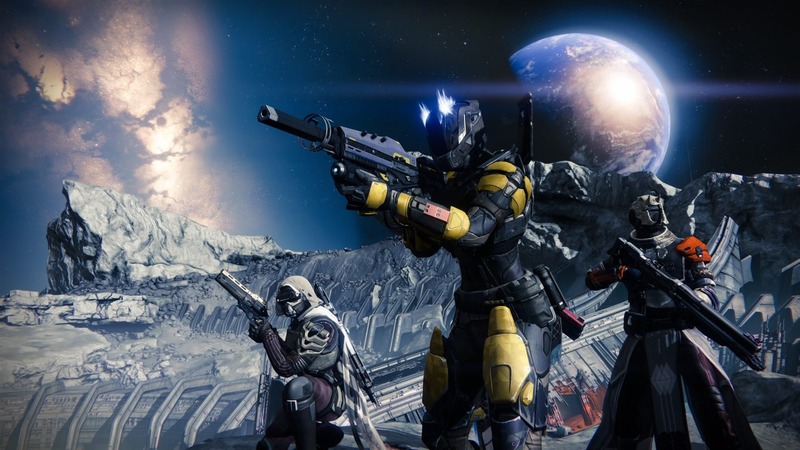 Strike missions are Destiny’s tip of the hat to more instant gratification gamers. You will join a 3 man strike team to complete quick missions which are expected to take between 15 and 30 minutes to complete. Faction Wars appears to be the main multiplayer mode in Destiny and the idea is that you join one of 6 factions and then go on missions and battles for your faction. However you won’t be able to just jump into Faction Wars as Bungie has said you will need at least a few hours game time under you belt before being allowed into Faction Wars and this is simply because you need to upgrade your characters to a certain level before you will be able to even survive a faction war. But even that isn’t the most amazing thing coming out of this video. According to Bungie they have a plan in place that will ensure that by the time the game is released they will have staff manning the game for 24 hours a day, 7 days a week. Yet they aren’t just watching and monitoring the game. They are going to be developing and releasing brand new content in the world of Destiny for the next 10 years. Yes this isn’t an annual title by any stretch and the goal here is to dominate the online multiplayer environment for the next 10 years by continuously improving it. That’s a seriously lofty goal and it goes some way to explain why Destiny is being called the most expensive video game ever developed.